What is up with the Greeks? 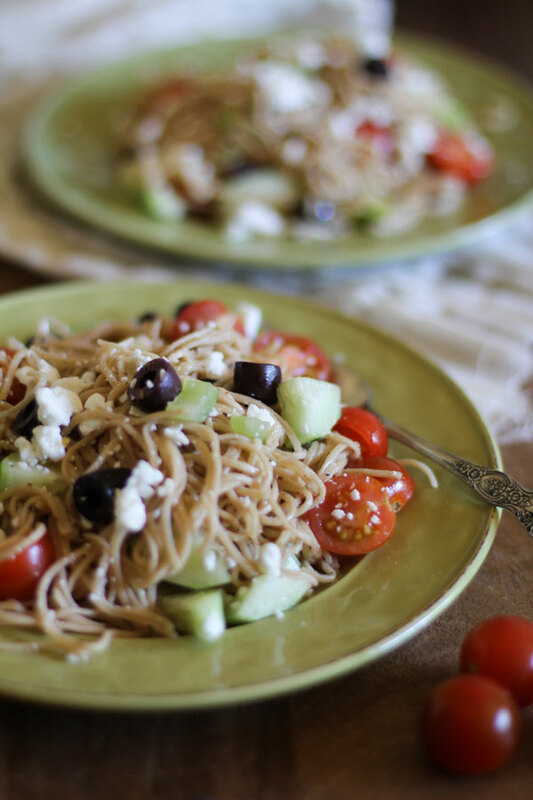 Believe me, it’s more than just my Greek Pasta on Whole Wheat Angel Hair. We love their passion, their accents, their large loud families, and their food: Spanakopita, Baklava, and Tzatziki sauce, just to name a few, and oh…let’s not forget their Ouzo (famous liquor/aperitif). And if you drink it – trust me, you will forget! In the past few years, Greek and Mediterranean food have been the highlight of many restaurants and menus. The Mediterranean food pyramid has spawned many diets and crazes and even some debate. NOTE: I am currently obsessed like the rest of the world with Greek Yogurt. You know the yogurt, the “healthier” yogurt that is finding its way into so many dishes and cutting the fat out of some of my favorite recipes. Oh Yeah – bring it! I take one to work every day for part of my lunch or a snack. 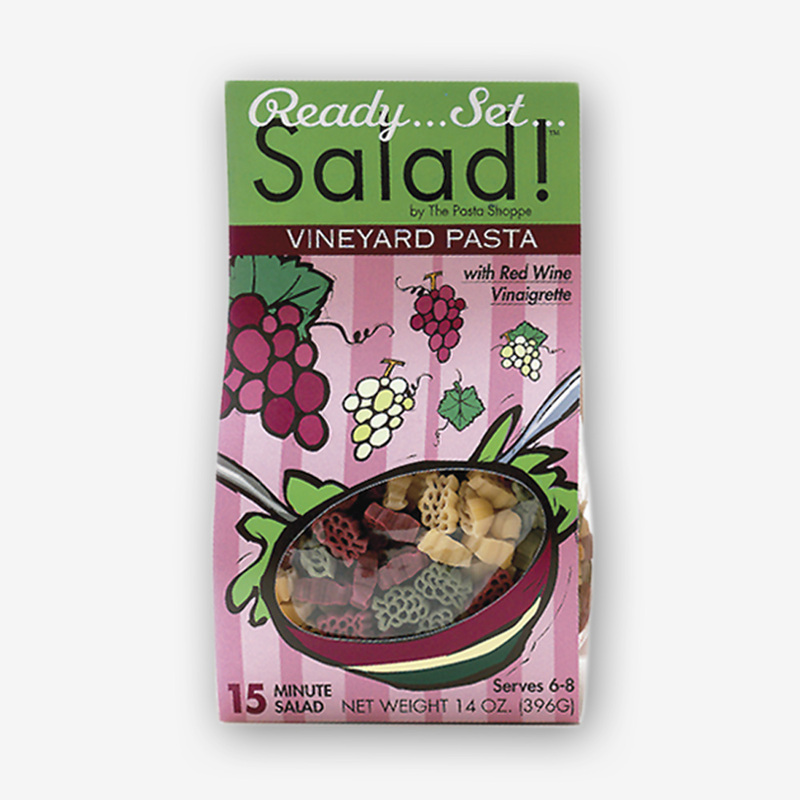 Low calorie and oh so good for you! 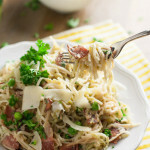 Regarding the pasta choice, yes, you can make this with just about any pasta shape – short or long. 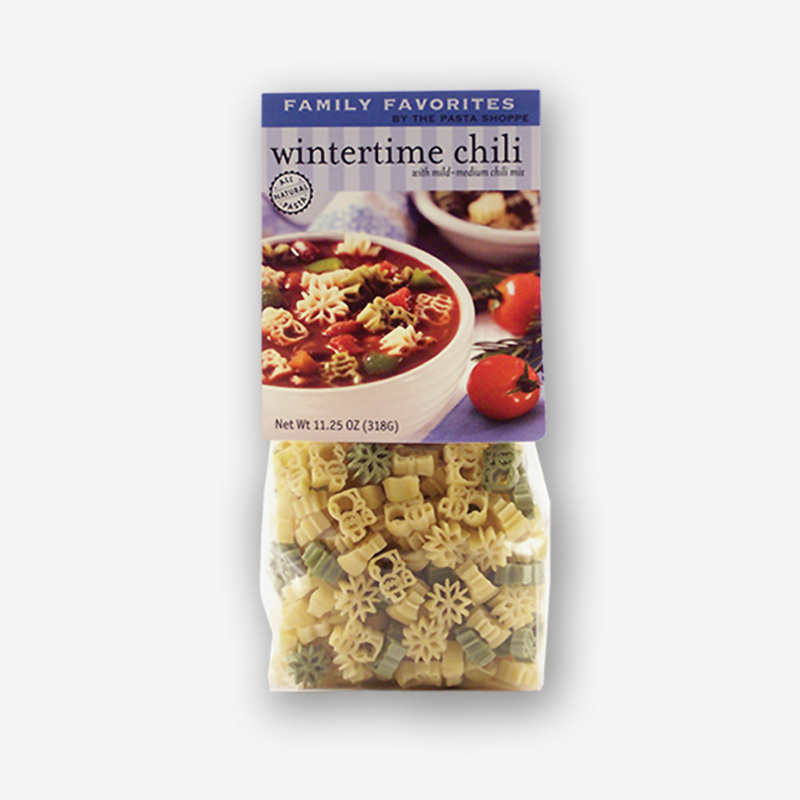 BUT, the wholesomeness of whole wheat pasta makes this extra special….and the kids will eat it too! Plus, I’ve given you a short cut in the recipe….so check it out…and you are welcome!! I hope you enjoy! Fresh and Delicious! 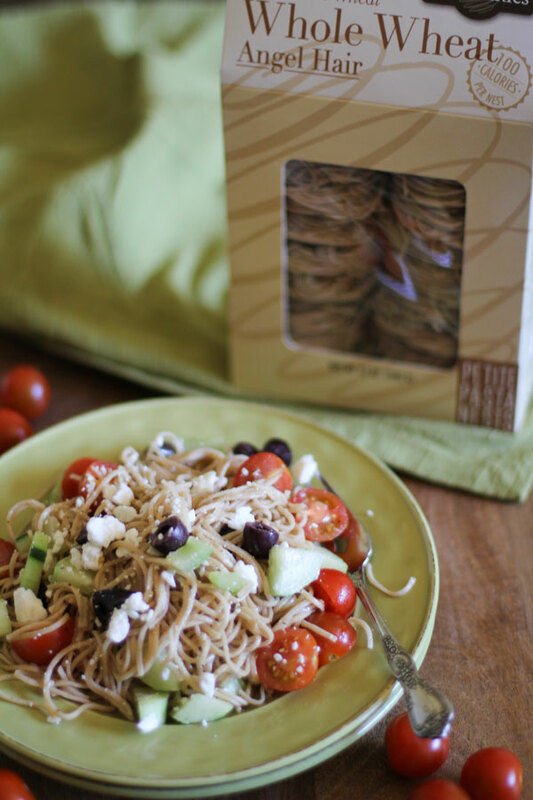 Our Angel Hair Greek Pasta is a winning dish for all kinds of occasions! Combine all dressing ingredients in a jar with a tight fitting lid and shake to blend thoroughly. Set aside. Cook pasta according to package directions. Drain and rinse with cold water. Shake colander and drain again. Transfer pasta to a large bowl and add the next five ingredients. Pour dressing over and mix gently and thoroughly to combine. If using bottled Greek dressing, add gradually to taste. Cucumbers will weep, so if making a day ahead, prep all ingredients and toss just before serving! Excellent served with grilled chicken or shrimp too! Love that idea Stephanie! Have a great weekend! 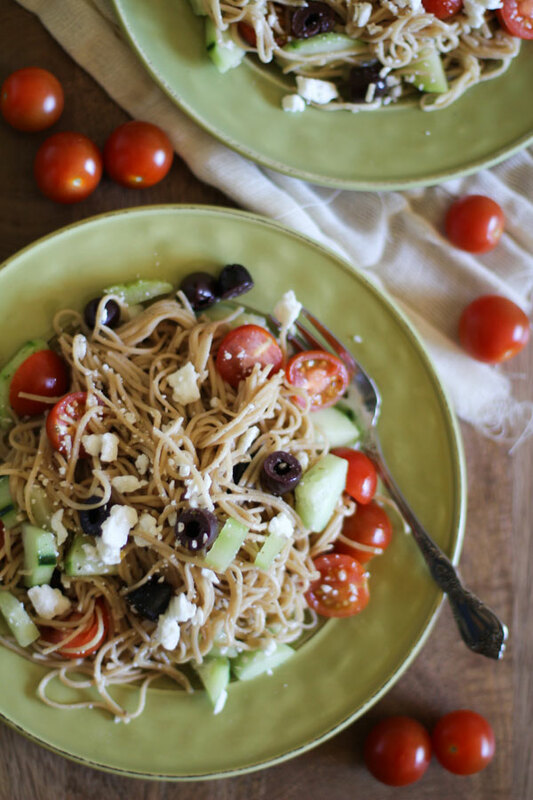 I love a good Greek salad, so I know this will be a winner in my book! Thanks for the great idea. Purchased your whole wheat pasta nests from a neighbor’s daughter for a school fund raiser. It was the BEST angel hair pasta we’ve ever had – light, fluffy, not starchy at all. Came online to see if I could find the company who made it, and found your website. I will be ordering directly in the future!! Delicious! You make a fantastic product. 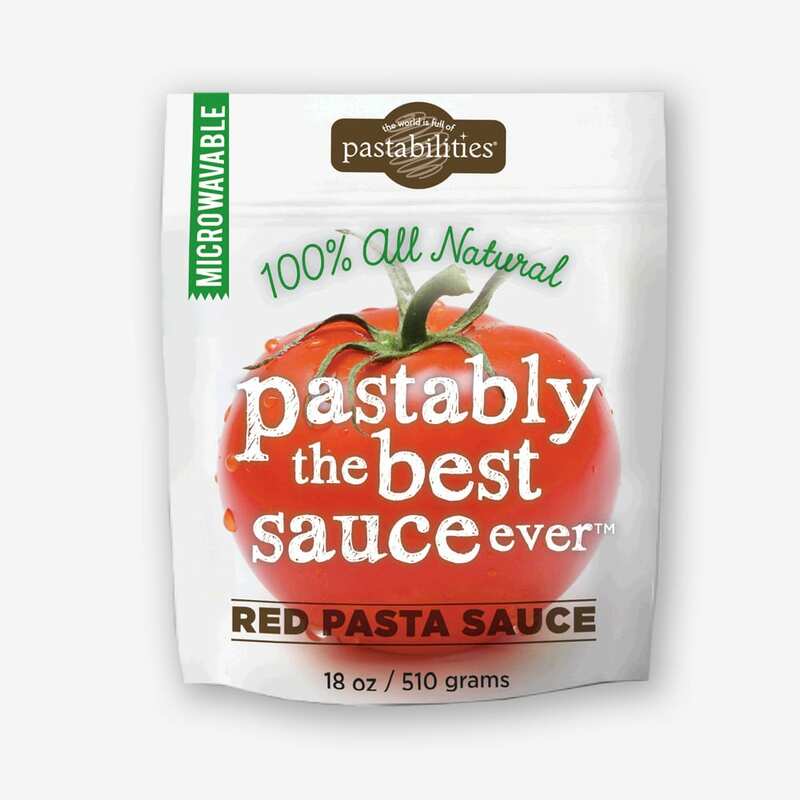 My grandkids were fundraising with your pasta choices. I am so impressed. 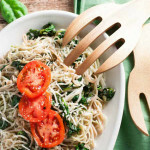 I ordered lots of different things but so far my favorite is the spinach basil garlic angel hair. Look forward to ordering your other two angel hair pastas when I have run out of my fundraising order. You’re making a lot of people very happy. Thanks for such a wonderful product. Thanks Kathy! What a nice compliment! 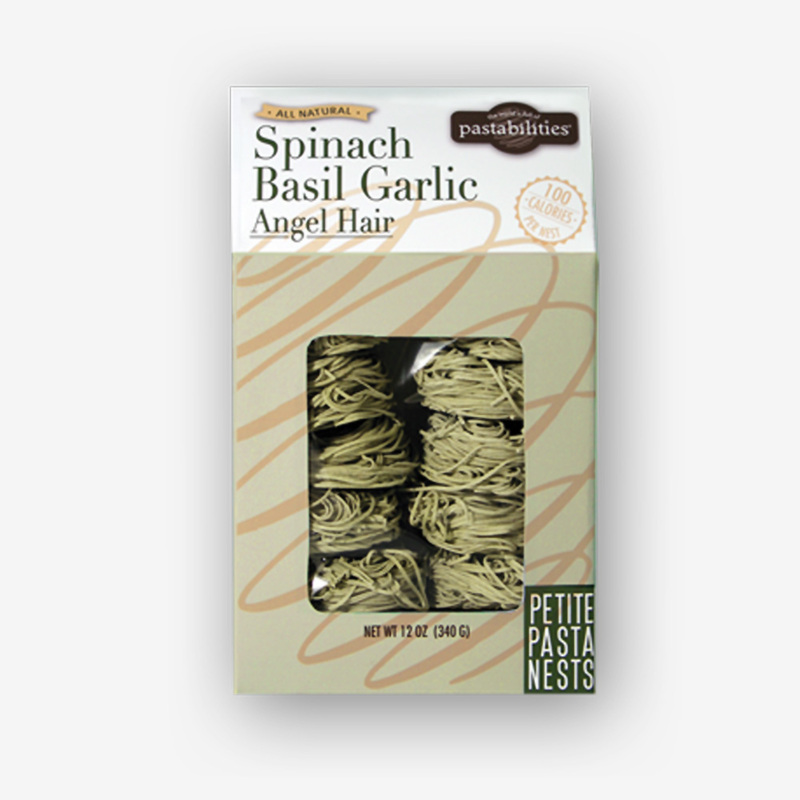 Our angel hair nests are wonderful…I agree! Please keep in touch and enjoy the rest of your purchase! 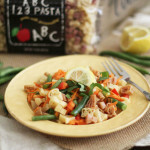 I am trying to go more with salads and Salmon, black olives, tomatoes and carrots + pasta in different recipes. We bought two packages from our Granddaughter in school fund raisers and the Chili was awesome. We really appreciate the difference in good taste. This is such a pretty dish…and really good!